September | 2016 | ECMS Admin Positively Rocks! The excitement is in the air… Take a look at the East Cobb Middle School groundbreaking held, Sunday, September 18th! All Box Tops should be cut out and in a Ziploc bag with your child’s homeroom teacher’s name on it. The Collection Box is in the Main Hallway across from the Attendance Office, next to the PTSA safe. The deadline is October 24th! Please help our school Social Worker, Ms. Bright, stock our Food Pantry for students and families in need within our ECMS and Wheeler communities. Please go to the link on our PTSA e-blast to sign up for a donation. Donations may be dropped off at East Cobb Middle School from 10:00 a.m. – 2:00 p.m., today through Friday, September 23rd. PTSA will host Back to School parties in the café this month. All parties are in the café at 4:30PM, immediately following dismissal. Students must have a permission slip in order to stay and purchase a ticket. Thursday, September 22nd is the 7th Grade Party from 4:30 p.m. – 5:30 p.m. Students must have ticket/permission slip to attend and must be picked up at 5:30 p.m.
We will be having our annual Magnet School presentation for all 8th grade students on Tuesday, September 20th and Wednesday, September 21st at 11:45 a.m. in the theater. Dr. Cheryl Crooks, Magnet Coordinator at WHS, will give an overview of all six (6) of the Cobb County Magnet Programs. We will be sending home a flyer titled “Cobb County High School Magnet Programs” for students to take home to parents/guardians. Parents/guardians are also welcome to attend either one of the programs. Check out what’s new in… Special Education News! AND Testing Updates! 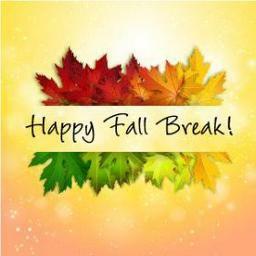 Please be reminded that school will be closed for FALL Break next week September 19th – 23rd. Students are to return to school on Monday October 3rd! Enjoy your break, everyone. PTSA will host Back to School parties in the café this month. All parties are in the café at 4:30PM, immediately following dismissal. Students must have a permission slip in order to stay and purchase a ticket. Thursday, September 15th is the 8th Grade party – 4:30 – 5:30 p.m. Students must have ticket/permission slip to attend and must be picked up at 5:30 p.m. Tickets are $3 or $2 with PTSA card. Thursday, September 22nd is the 7th Grade Party from 4:30 p.m. – 5:30 p.m. Students must have ticket/permission slip to attend and must be picked up at 5:30 p.m.
Wheeler High School is presenting a Parent University: “Understanding Bullying” September 15th 6:30 pm in there Auditorium. This invite is for all parents in our cluster. And as a Wildcat nation we think it is important that all of your parents also know they can take advantage of these sessions. This one is for ADULTS ONLY! There will not be day-care provided and we ask that they please do not bring their children. Thursday, September 15th – Wednesday, September 21st – 7th graders will be taking CogAT and IOWA tests. The Cognitive Abilities Test and the IOWA Assessment help determine how students are performing on nationwide standards. Informational letters were sent home with 7th grade students Friday, September 9th. If you need not receive the letter and would like more information, click on the Testing Updates! link at the top of the page. Parents our PTSA needs you. The hearing and vision screening season is upon us. Please sign up to volunteer to assist. The Screening Training is Friday, September 16th, please see the PTSA website for signup information. Saturday, September 17th – East Cobber Parade, also known as the “Candy Parade” is this Saturday, September 17th! The parade starts promptly at 10:00 a.m. at Mt. 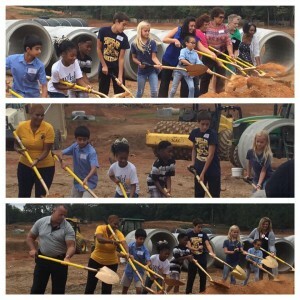 Bethel Elementary School. Students will receive their 4 ½ week progress reports TODAY, September 6th! Parents please be on the look-out! School wide Detention and will be held in the Theater on Tuesday mornings 8:15 – 8:45 and Thursday afternoons 4:30 – 5:00 beginning today, September 6th. Parents will be notified of assignments and will be responsible for dropping their students off on time in the morning or picking them up on time in the afternoon. Thursday, September 8th is the 6th Grade Party from 4:30 p.m. – 5:30 p.m. Students must have ticket/permission slip to attend and must be picked up at 5:30 p.m. Purchase tickets in the 6th grade hallway on Tuesday, 9/6, Wednesday 9/7, or Thursday 9/8. Tickets are $3 or $2 with PTSA card. Thursday, September 15th is the 8th Grade party – 4:30 – 5:30 p.m. Students must have ticket/permission slip to attend and must be picked up at 5:30 p.m.
Thursday September 8th at 5:45 in our Media Center, there will be a Title 1 Parent Information Meeting. Have an amazing 3-day weekend! See you Tuesday, September 6th!